Bayern Munich are quietly confident about knocking Real Madrid out of the Champions League, with Jupp Heynckes admitting he has a positive feeling about their semi-final. While he did point to Los Blancos’ two recent successes, he said that he felt this tie was evenly matched. “It’s a semi-final featuring two teams with a great history in the Champions League,” he said at his pre-match press conference. “It’s true that Real Madrid have won the past two tournaments and have an advantage in that respect, but we are in great form. “We’ve had success in the Bundesliga, we have reached a Copa del Rey final and we want to top it all off with a Champions League final. He was asked if he has a special plan for stopping Cristiano Ronaldo, but didn’t want to focus too much on the Real Madrid No.7. “He has had a unique career up to now,” the Bayern coach said. “Of course, when you’re analysing you are considering a player like him. “But in the Champions League the most homogeneous team wins. They also have James and Heynckes explained how the Colombian has improved since his arrival. “When I arrived at Bayern on October 7, James was a little bit sunk,” the 72-year-old told reporters. “He wasn’t in good form and didn’t feel good. “I spoke with him a lot and he gained confidence. 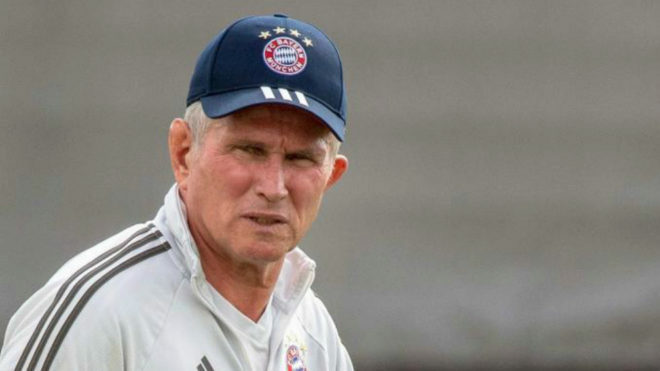 The referees were also brought up, but Heynckes dismissed the thought of any controversy. “I’m not worried about tomorrow’s referee,” he said. “I have always got on well with referees. “I have always been objective about their judgement. The match kicks off at 20:45 CET on Wednesday evening.